TPO Roofing - San Diego Roofing Inc.
TPO (thermoplastic olefin) is a single ply roofing membrane that is energy efficient and has the benefits of EPDM roofing and PVC roofing, but without the drawbacks and extra costs. TPO roofing is as UV-resistant and as heat-resistant as EPDM roofing, and as heat-weldable as PVC roofing. TPO roofing is an economical and efficient roofing alternative to PVC roofing products. 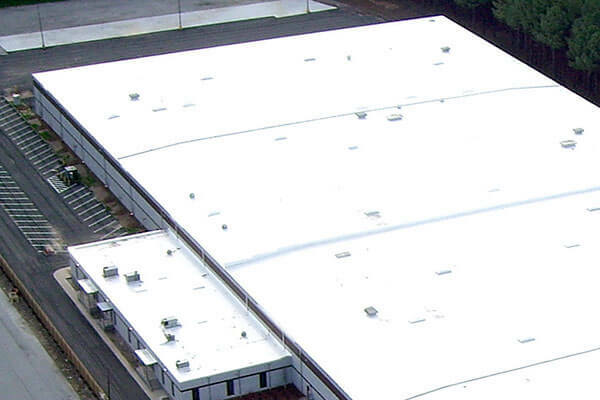 TPO is a single-ply roofing system consisting of a thermoplastic polyolefin membrane. This membrane is composed of three layers: a TPO polymer base, a polyester-reinforced fabric center (scrim), and a thermoplastic polyolefin compounded top ply. Fillers used in TPO manufacturing include: talc, fiberglass, carbon fiber, wollastonite, and Metal Oxy Sulfate. Popular rubbers used in TPO manufacturing include ethylene-propylene rubber and EPDM. TPO is manufactured to look great on many different types of structures, from homes to commercial and industrial. 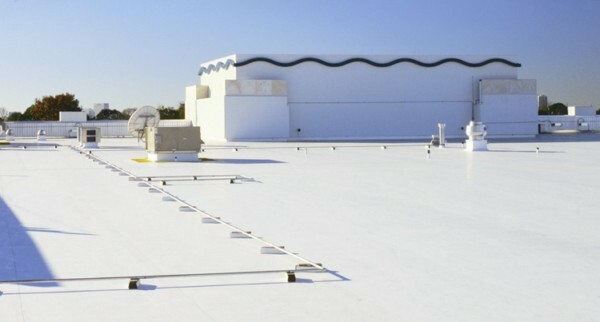 TPO roofing is available in white, light grey and black reflective color options. You do not need to get a white roof to enjoy the energy saving and reflective properties. Latest technologies enable all colors of TPO roofing membranes to be UV resistant and “cool” roofing certified. TPO resists mold growth, dirt accumulation, tears impact and punctures. It is made to be flexible and can allow for a building’s movement or settling. Reinforced TPO membranes can handle a building’s thermal expansion and contraction more effectively than other single ply roofing products. In general TPO roofing membranes are manufactured with wider sheets and are light weight. This means that the roofing material is easier to install and there are less seams. This translates into direct installation cost savings. The energy efficiency of TPO roofing membranes makes them highly attractive to owners who want to have the benefits of savings on their cooling costs as well as help the environment by reducing the carbon footprint. TPO’s membrane’s white reflective surface exceeds the EPA’s ENERGY STAR requirements and white, tan and gray are listed with the Cool Roof Rating Council. This means that having a TPO roof on your building will keep the interior thermally comfortable on hot summer days while reducing your air conditioning costs.